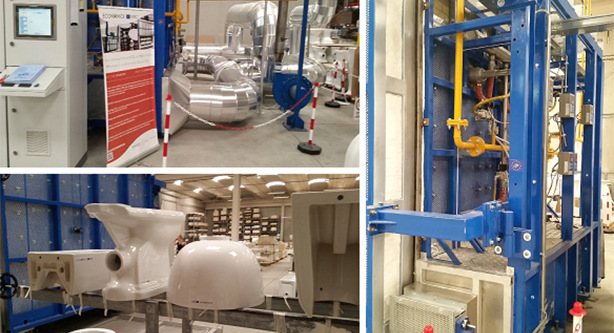 On 19th June 2018, a public inauguration event for ECONOMICK prototype kiln was held in Civita Castellana by ECONOMCIK project team, involving the local community and other stakeholders. 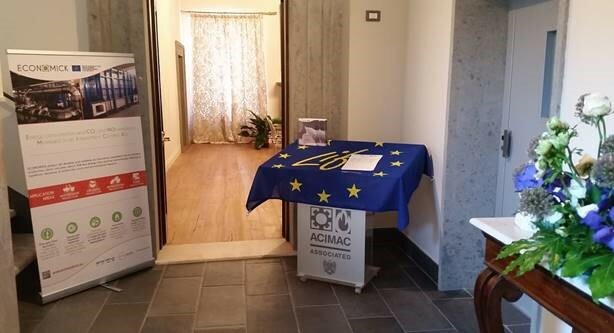 A total number of 19 stakeholders participated: Ceramic World journal representants, various Civita Castellana district ceramic producers, some authorities and a ceramic raw materials producer. During the first part of the morning, Kerasan hosted a visit to the prototype kiln. After the registration and the welcoming activities, participants could visit the prototype installed in May: at the moment, tests for ceramic sanitary ware were running, so the first produced pieces could be seen. The second part of the morning took place in Fortuna Palace, in Civita Castellana center, were SETEC partner showed a presentation with first tests results. All participants were deeply interested in the new technology, mostly asking about energy consumption results and commercialization opportunities. At the end of the event, a buffet lunch was offered to all participants, during which further discussions about the innovative technology were made.